What’s For Dinner Tonight: Beer bread, and Cheddar Corn Chowder! Someone mentioned to me on here that he likes a good food post now and then, and since I’m a foodie myself, I say: Bring it on! That’s bacon for a garnish on top! YUM! 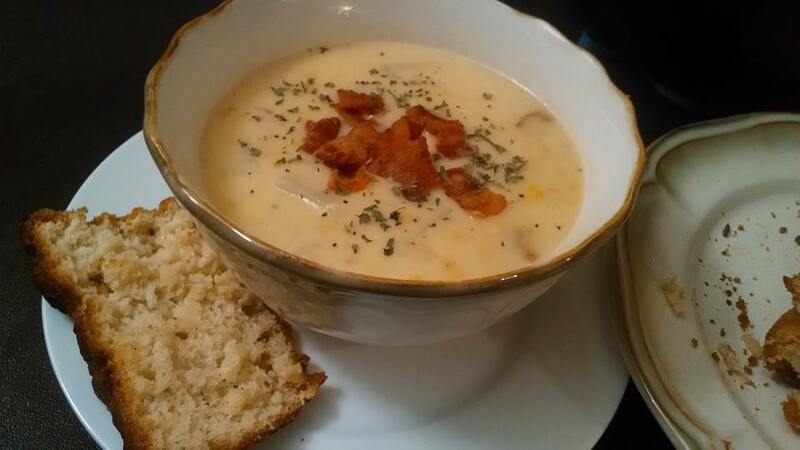 Only beer bread with a fantastic Cheddar corn chowder, which is chocked full of potatoes, corn, ham and bacon. You make this fantastic cheese sauce for it and it all comes together in this wonderful melody of stick-to-your-ribs goodness. Found the recipe, here. I was also surprised with how easy the beer bread came together, too. Just flour, sugar, salt, baking powder, and beer. Pour butter over the top and viola! Buttery crusty goodness. Like everything, I googled this recipe, and you can find it at food.com, here. Doesn’t it just look fantastic? And why haven’t I made this stuff before?? Beer bread: a sweet, hearty bread that is buttery, with a crunchy crust that is fantastic for dipping into soups. 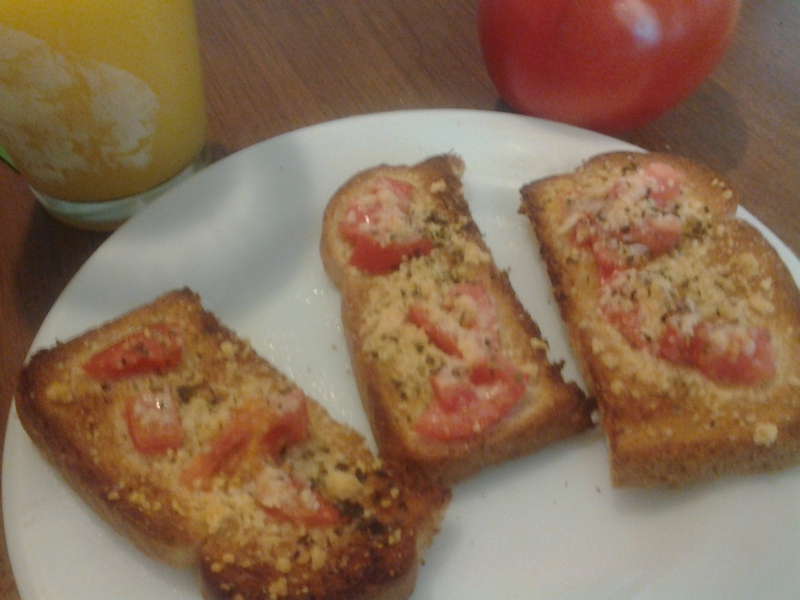 I’m making this one again! I’m discovering lately that I’m starting to love baking more and more. Call it old age, science or just the fact that its relaxing to mix ingredients and see it develop into a sweet and glorious concoction – I can see how people bake when they are stressed or upset about something. It is definitely a comfort after a long and stressful day. 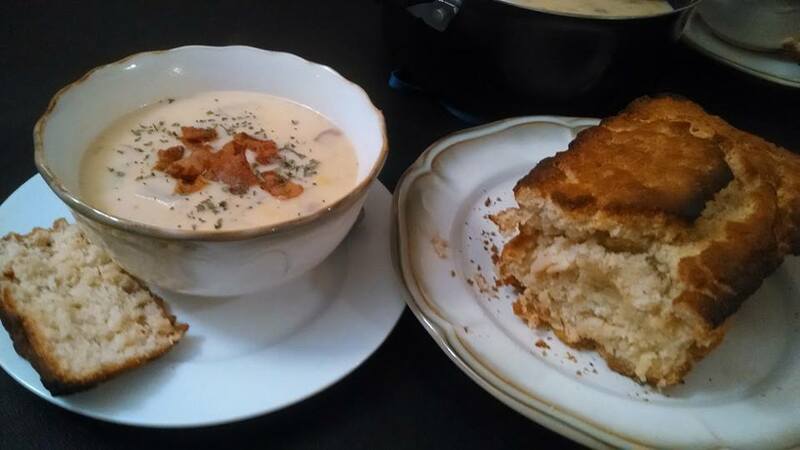 It was our first time making corn chowder and beer bread and we were so proud with how it turned out! What do you guys like to make? What a nice way to spend this fall rainy night! Happy Writing (and eating) everyone!